As a professional attraction show writer, I’m always fascinated by the many ways the Disney Imagineers use their mastery of visual storytelling to immerse guests in their themed environments. But you don ‘t have to be a theme park designer to appreciate the countless details that fill every Disney theme park, helping to communicate the storyline and adding so much enjoyment to your experience. One of my favorite examples of this is also among the most easily overlooked—especially if you are visiting without a young child in tow. I’m talking about The Boneyard playground in the Dinoland U.S.A. section of Disney’s Animal Kingdom. You may think The Boneyard is all kid’s stuff…but you’d only be half right, because it’s also an example of Disney themed storytelling at its finest. The story plays out on several levels, and you can decode it by simply looking around and paying attention to the details. First, you’ll notice that this is very clearly a paleontological dig site, with the fossils of dinosaur bones exposed in the various layers of earth that have been deposited over millions of years. If you take a few moments to study the (fake yet very realistic-looking) rock formations, you can clearly make out the different layers or “strata” in which the fossils have been trapped. Superimposed over this is the architecture of the paleontologists’ camp. 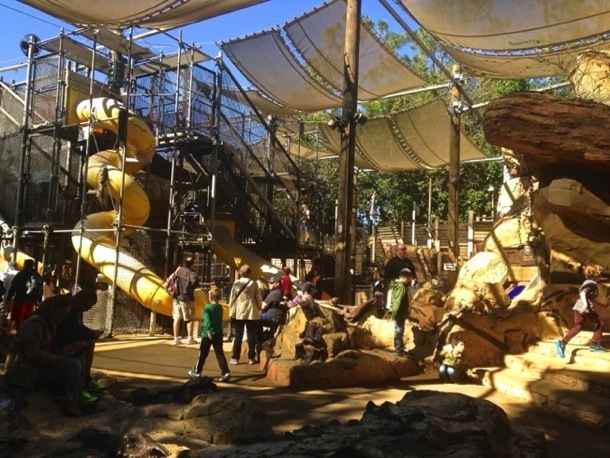 The scaffolding, netting, and debris chutes double as climbing structures, slides, and other play elements. But check out the graphics, signage, and audio and you’ll discover an intriguing conflict that is at the heart of the Dinoland U.S.A. storyline. The conflict is a generational one. First we have the professors of the fictional Dino Institute and their outdated understanding of dinosaurs. Then we have the youthful graduate students and their new (and occasionally radical) ideas about the subject based on the latest scientific research. Take a few moments to examine the plaques, signs, and whiteboards posted around the dig site and you’ll see the conflict in full blossom, with the students tacking their own handwritten corrections onto the Institute’s official descriptions. In places, the professors have pushed back with their own tacked-on notes. As it happens, the conflict between the professors and the grad students is not just an example of the eternal “generation gap” between young people and their elders. It’s also an example of an uneasy real-world transition that’s been occurring in recent decades—from traditional scientific ideas about dinosaurs to newer theories that have revolutionized our understanding of these prehistoric beasts. You can also see the grad students’ rebellious streak demonstrated in other ways. Although you won’t find any of the grad students at work on the dig site, you’ll hear two of them yucking it up between tracks as the wisecracking deejays of the Institute’s pop rock radio station. 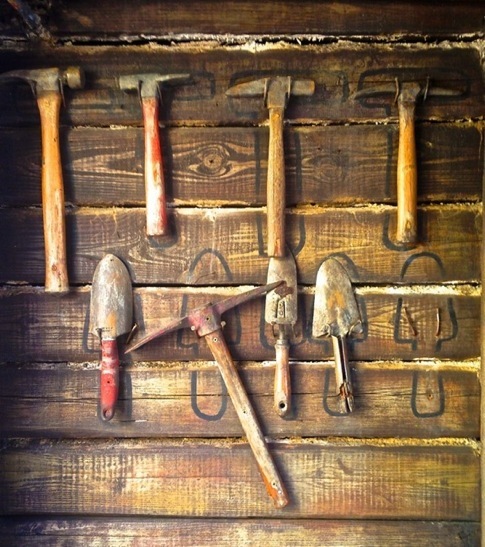 And be sure to seek out a certain wall of excavation tools, which reveals at least one student’s non-conformist impulses. 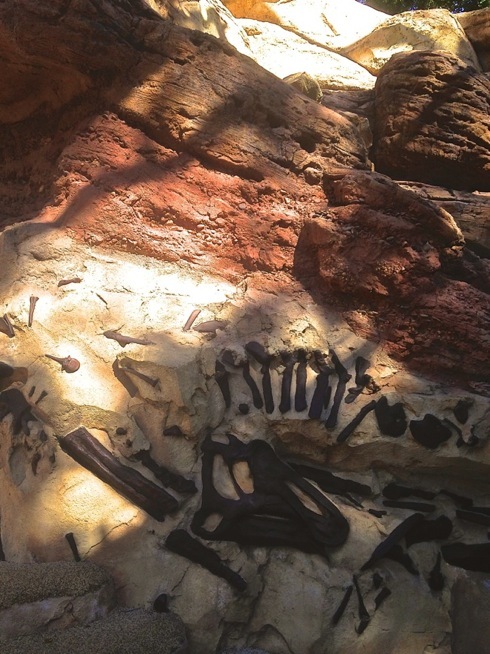 So have you visited DAK’s Boneyard playground? Were you surprised to discover the depth and detail of the storytelling in what is nominally a “kids zone”? Feel free to share your thoughts in the comments section below. 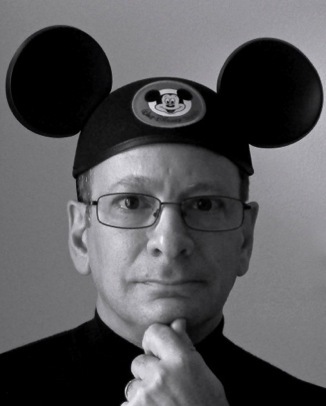 Adam M. Berger is president and senior show writer at Berger Creative Associates, Inc., an Orlando, Florida-based creative writing and consulting firm serving themed attraction and design clients around the world. He is also the author of the book Every Guest is a Hero: Disney’s Theme Parks and the Magic of Mythic Storytelling—available in print and e-reader editions from Amazon.com and other fine online booksellers. Most people make vacation plans all on their own, with just help from their families. They decide where they’re going, when they’re going, how much they’re spending, etc. While that’s fine when it’s a family vacation to the beach to sit around and do nothing, things can get much trickier when you decide on a destination vacation, such as Walt Disney World or any other major theme park. The mere thought of planning a Disney vacation can make even the most travel savvy person curl up into a ball and cry. 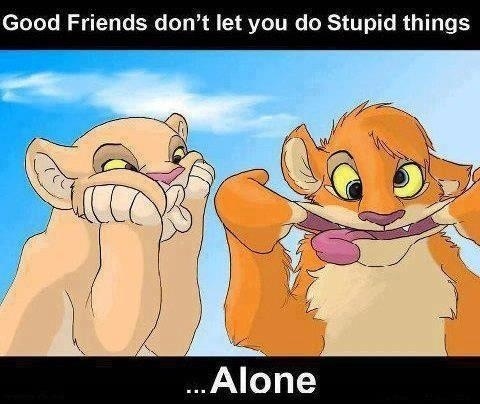 Trust me, I know. I’ve been there. My first trip to Walt Disney World was supposed to be a surprise for my brother and I and, as such, my parents (mainly my mother) did all of the planning on her own. We didn’t know much about Walt Disney World (my parents hadn’t been since before EPCOT opened), and once we found out we were too deliriously happy to really think much about the planning that it would involve. We just decided to wing it and see and do whatever we could. The week that we were there was the last week of the Main Street Electrical Parade (one of my favorite parades of all time) and it was also Spring Break for much of the country. Luckily the crowds were a bit on the smaller side due to the weather (it rained extremely hard one day and was miserably cold). Little did I know that this trip would cement my love of Disney for the rest of my life. 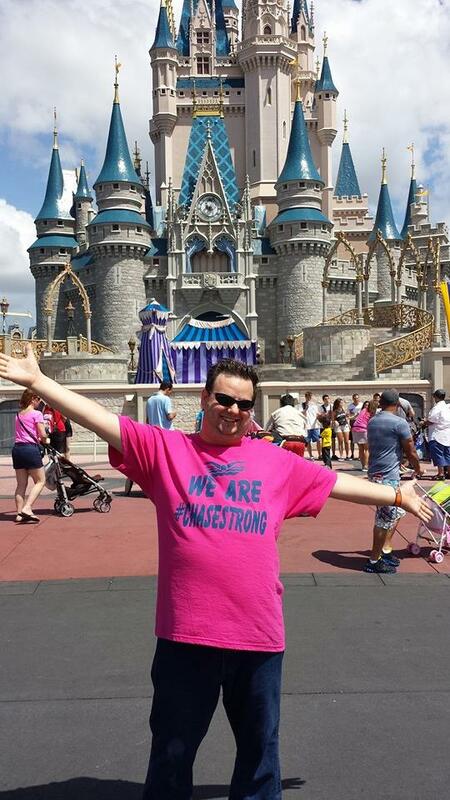 Fast forward several years, and now I’m “living the dream” by living in Orlando. I spend a lot of time at all of the parks, including Universal and Sea World. With each passing day I realize how much we missed on that first trip simply because we weren’t prepared. It is in this spirit that I became a travel agent specializing in Disney vacations. In doing so, I learned how I can personally help people get the most out of their Disney vacations, all while educating them at the same time. So here I share my top 5 reasons for using a travel agent/vacation planner that specializes in Disney. These are in no particular order (except the last and best one), and I’ll hope they help you realize how much you have to gain with this advice. Number 1: They do as much (or as little) of the planning as you need. Disney-centric travel agents spend a lot of time getting to know their products. We all have to go through a program known as the “College of Disney Knowledge”. This program is designed by Disney to familiarize travel agents with every aspect of the Walt Disney Travel Company, from the parks to the cruise line, Adventures by Disney, and even Aulani, the Disney resort & spa in Hawaii. Agents have access to a special website exclusively for travel agents with up-to-the-minute updates from everything in the Disney travel family. We regularly get e-mails from Disney telling us whenever they launch a new feature at one of their destinations. And agents regularly visit these amazing destinations, each time focusing on new things that they can help their clients with. We plan everything, from fastpass+ reservations, to dining reservations, and even those hard to get photo opportunities. Leave the planning to us, and you won’t have to worry about a thing, except being where you need to be – with your family. Number 2: They stay connected with you from start to finish. When you book a vacation through a big name travel agency such as AAA, you get great customer service…when you book. However, once you’ve booked your vacation, you’re on your own and for the most part don’t hear from that agent again (unless they’re trying to sell you something else). However, when you book with an independent agent that specializes in Disney, you get a world-class “bedside manner” type of relationship with your agent. We go above and beyond throughout every process of your vacation, from the initial inquiry all the way through your return home (as a matter of fact, 99% of us will continue to communicate with you just to make sure everything was as magical as you hoped). There’s nothing that makes us happier than to receive a letter or e-mail from a client stating that their vacation was more than they ever could have dreamed of. That’s our job. We are “magic makers”, which is why so few of us have a traditional “travel agent” name (for instance, I’m a Dream Designer. I’ve heard other agencies use similar and unique terms, but very rarely do I hear travel agent as a title). Number 3: World Class Concierge Service. Each agency is different, but they all offer one very similar service: World Class Concierge Service. What this means is that your agent is there with you every step of the way, anticipating your needs and making everything possible happen for your vacation. Like I said before, these agents are very knowledgeable in the destinations they represent, and nothing gives us greater pleasure to talk to a client that thought they couldn’t get a certain fastpass or dining reservation, only to see it magically appear before their eyes. From welcome letters in your guest room, to a special “Happy Birthday” wake-up call from Mickey Mouse himself, agents will go above and beyond for their clients. I can only speak for myself here, but I imagine this same sentiment applies to all fellow agents: I give each client vacation a level of service even higher than I would expect on my vacation. These are not simply client’s vacations; these are my friends’ vacations. I want them to feel my personal touches everywhere they look. I want them to realize the extra level of service they can only find with an agent that specializes in Disney. I want them to enjoy that world class concierge service. Number 4: You’ve got questions, I’ve got answers. It thrills me to be so knowledgeable about Disney, because it helps me to be a better agent. If you’ve got a question about something, ask away. Chances are I know the answer to the question. However, if I don’t, I’ll make sure to get it. AND I will always verify it before I answer you, to make sure it is the most correct answer. You have a 4 year old that loves dinosaurs, but is afraid of the dark? 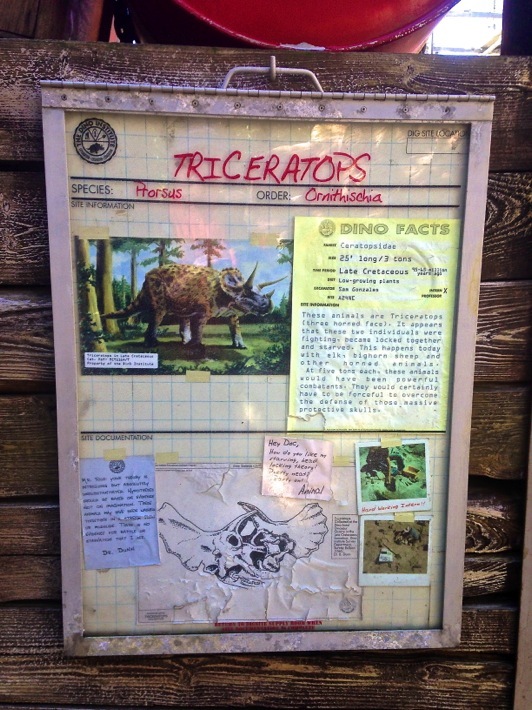 I’ve got the perfect place for you to take him: an incredible pre-historic dino-dig located in Dinoland USA in Disney’s Animal Kingdom. He’ll have loads of fun on a humongous playground complete with dinosaur fossils hidden throughout the area for him to find. And it’s a great place for mom and dad to sit down and breathe for a minute during the hectic day. Want to know what the best restaurant is for a picky eater that loves Mickey? Absolutely. Try Chef Mickey’s Character Breakfast at Disney’s Contemporary Resort. This amazing all-you-can-eat buffet is full of tantalizing food choices and chock full of characters, including Chef Mickey himself. Want to know what time the 3 o’clock parade is? (Don’t laugh, this is one of the most asked questions to Magic Kingdom cast members every single day) It is at 3:00pm daily, weather permitting (it may be delayed or changed to the Rainy Day Cavalcade due to weather – or on rare occasions cancelled completely). Be sure to check your guidemaps for viewing locations. I’m also fantastic at making recommendations, since I spent so much time in the parks. You can tell me a ride at another theme park that your children loved and I’ll find a similar ride at Disney. Love a particular place but want to visit it with a Disney twist? I can find a Disney Cruise Line or Adventures by Disney itinerary that’s similar or in the same location. Number 5: We’re always watching. Cue the creepy music. Actually, I’m referring to price watching. We are always on the look-out for new and exciting offers that will help save you money during your trip. For instance, free dining from Walt Disney World. This offer pops up once or twice a year and is always a hotly discussed discount. Agents usually find out just a few days before (sometimes we don’t even know until the day before) that Disney is releasing it’s free dining for certain packages and certain dates. At 6am on the day the promotion starts, thousands of agents from around the world sit on hold for HOURS on end to switch their clients’ reservations over to reflect the free dining discount. Some of us will actually go online and run the same quote with free dining that we currently have, to see if it does actually save the client money. Sometimes it does, sometimes it doesn’t. If it does, we’ll call and get everything changed over for the client and then call them and tell them the wonderful news that we just saved them $300 on their vacation (or whatever the actual savings are). If you book directly through Disney or through a major travel agency like AAA, you’re stuck with your reservation the way that it is. This is again just another small service we offer to make sure our clients get the best vacation at the best deal possible. We actually enjoy spending hours on the phone waiting, just to save you money! Why? Because we’d want the same thing done for us if we were traveling. BONUS #6: This tip is the best of all. ALL OF MY SERVICES ARE 100% FREE!!!!! Yes, you heard that right. My world-class concierge services are 100% FREE. Every destination I sell has a commission already built into their rates, regardless if you book online or through an agent. If you book through Disney’s website, they get the commission. If you book through me, I get it. BUT, you still pay the same price as if you’d went through Disney. The real difference between booking through them and booking through an agent like me is the level of service after the sale you receive: that world-class concierge service. I’m not happy until you’re happy. One of the most unique things about this service is the way in which agents get paid. We don’t get our commission payments until after you have traveled. This allows us to really focus on making sure that you have the best vacation possible. We really do earn our keep, as my father would say. I genuinely feel like I’ve failed if a guest doesn’t book with me again, because it means that I didn’t provide that amazing level of service. More than anything, I cherish the handwritten notes I receive from my clients, thanking me for my service and professionalism. When you initially contact me for a quote, you may be a stranger, but by the time you return from your trip, you’re part of my family. And you can count on that level of service every time you book with a vacation planner like me. 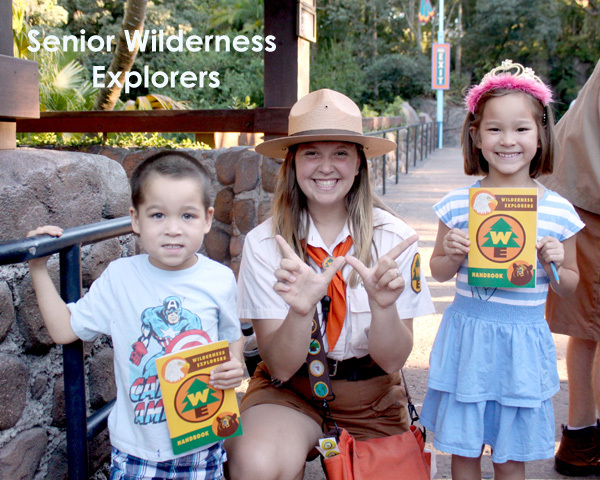 Are you excited to learn some great tips on how to become Senior Wilderness Explorer in one day? This fun, interactive game has taken the Animal Kingdom Theme Park by storm and I have only heard great things about it. This fantastic post comes to us from guest author Kelly! Kelly loves to share her passion for digital scrapbooking and preserving memories. Her blog features tutorials, tips and designs to help make scrapbooking your memories easier! You can check out her blog HERE. Thank you Kelly for your wonderful contribution! Last month we went to Animal Kingdom for the first time since the beginning of the year. We got there soon after the park opened and we stopped at the Wilderness Explorers booth at the end of the bridge leading to the Tree of Life. My 4 and 6 year olds, each received their own Wilderness Explorers handbook from Disney cast member. I was only half listening when I heard the cast member say that there was 31 badges the kids needed to earn to become Senior Wilderness Explorers. 31? I remembered there were only 5 or 6. The new Wilderness Explorers program replaced the Kid’s Discovery Club at Animal Kingdom. Kids take their handbooks to stations throughout the park to earn badges. Earning badges consisted of different activities like a scavenger hunt, reading signs for information, finding animals, etc. 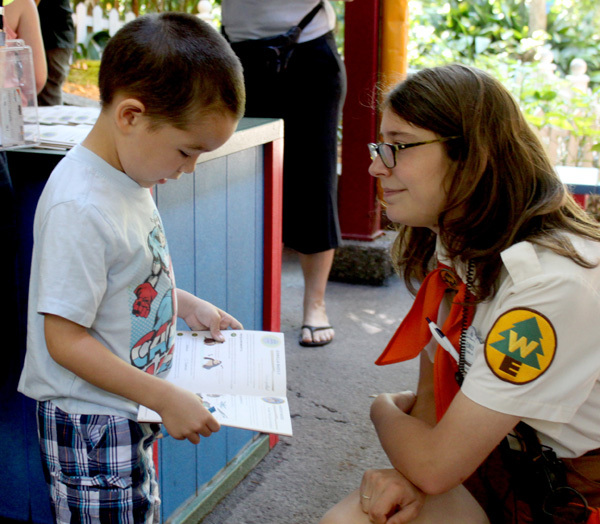 A Wilderness Explorers guides give each child a sticker for their handbook when a badge is earned. The sticker for each badge is different. Here is the handbook map of all the badge stations. The cast member explained to us that they didn’t have to earn all the badges that day and that their handbooks would be good for years. I think what my daughter heard was that it could all be done in a day! From that point on she was on a mission. Can it be done in one day? YES! Will you be exhausted? YES! Will your kids learn a ton of great information about animals and the environment? YES! Will you get to see all of Animal Kingdom? YES! Get a fast pass. My husband made a beeline to get a fast pass for the Kilimanjaro Safaris as soon as we got to the park while the kids and I took our time getting the handbooks and taking photos. Plan out your day (rides, shows, dining) so that you only have to go through each section of the park one time. We started with Festival of the Lion King at Camp Mini Mickey and worked our way around the park in a clockwise direction. 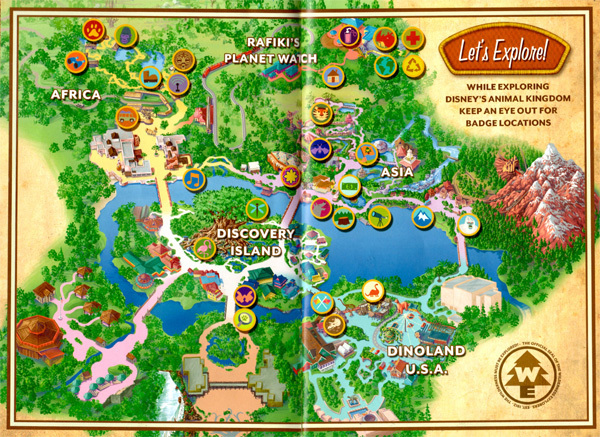 In order, we earned badges in Africa, Rafiki’s Planet Watch, Asia, Dinoland U.S.A. and then Discovery Island. Bring a stroller if you have young kids. My 6 year old barely fits in our double stroller but that doesn’t keep her from sitting in it to be pushed all over the park. At the end of the day my husband and I were exhausted from all the walking but my kids were still full of energy. Take time to enjoy the park. If you can’t get it done in one day, you can always come back. Beyond earning all the Wilderness Explorer badges, we also saw the Festival of the Lion King, went on the Kilimanjaro Safaris and had a delicious lunch at Yak and Yeti Restaurant. 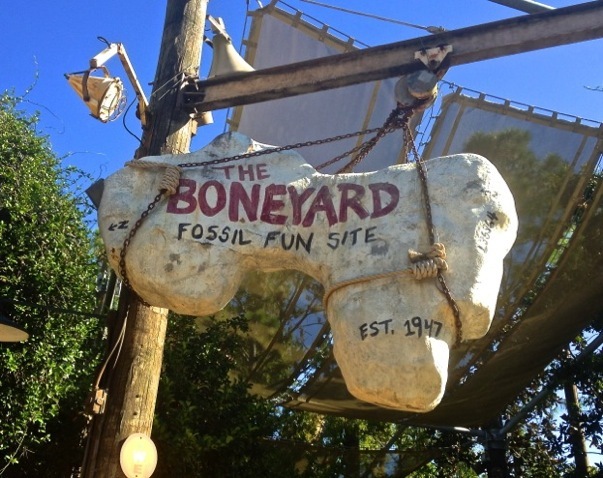 The kids spent extra time at Conservation Station and the Boneyard (Dinoland USA). Keep an eye on the map in the handbook. My daughter was our navigator and she is great at reading a map but she missed a few stops so we had to backtrack once. Make this a learning experience! The Wilderness Explorer guides were great at teaching the kids important facts at each station and making sure they understood. My husband and I took the time to discuss the topics with the kids and we learned extra information from reading the signs, etc. Make sure your kids want to do this! Both of my kids were self-driven to earn all the badges in one day. I think both my husband and I would have preferred a more relaxed pace but the kids were having fun so we decided to go with it. If they hadn’t wanted to do it so badly, I think it would have been miserable trying to push them through the park. We have also been to Animal Kingdom many times so the kids have been on all the rides and seen all the shows. My kids picked up their handbooks at 9:49 am and at 5:55 pm they were taking the pledge to become Senior Wilderness Explorers! I could tell that the sense of accomplishment and all the information they learned made this day of the best my kids have ever experienced at Disney and a day that I will never forget! Enjoy your Disney Adventure!